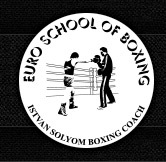 Istvan is also available to Coach you in one on one or group sessions. If fitness is what you want, Istvan can cater for your needs and give you a gruelling fitness session, all the while learning some real boxing skills from one of Sydney's most experienced boxing trainers. Vistit the contact page to get in touch with Istvan and book your session. Can’t make it to the gym? Istvan is also available for mobile and corporate training sessions, so get in touch with him to organise your session. Training times are subject to change without notice.